Gambling addiction stories have slowly grown steadily alongside reports of casino games winners in the US. Nowadays, the baton lies with the casino to implement measures that detect players addicted to gambling. As gambling addiction statistics reach undesirable heights, we’ve collected useful insight to help players identify signs of a gambling addict. Online gambling addicts are more suppressed, and families are encouraged to identify the early signs of gambling addiction. Since addiction to gambling can easily develop into a downward spiral of bad habits, it’s important that players know avenues they can access for help. Read on to find out more about how to stop addiction to gambling in our guide for US-based players. 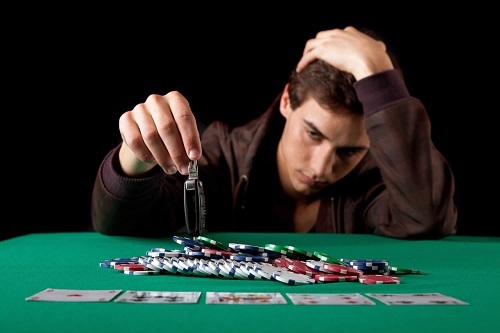 A problem gambler is probably less likely to raise concern at first, with their behavior not constitutive of the clinical definition of an addict. They are the type of gamblers that would typically gamble and lie about their whereabouts. Binge gamblers gamble in intervals, with spates of no gambling activities at all at times. However, once they get the urge to gamble, they go on an uncontrollable run of bad wins compounded by large sums of losses. Arguably the most dangerous addict, a compulsive gambler is powerless to refrain from gambling. They do not worry about spending money for sustenance, and they are typically a danger to those around them and themselves. Compulsive gamblers does not only refer to casino gambling; they tend to crave the rush of risking it all without the regard for potential loses. Treatment – there’s aggressive specialized treatment to help treat gambling addiction. This includes hypnotherapy, counselling and strict regimen of medication. Self-Exclusion – This refers to the self-barring from casino games for players that have noted that their gambling habit has gotten out of hand. Third-Party Exclusion – Some casinos accept third-party requests to prohibit a gambler from entry into a casino. Third-party exclusion refers to instances where players cannot gamble due to the request made by those close to them. The National Council on Problem Gambling at www.npgambling.org or call the 24/7 helpline at 1-800-522-4700.